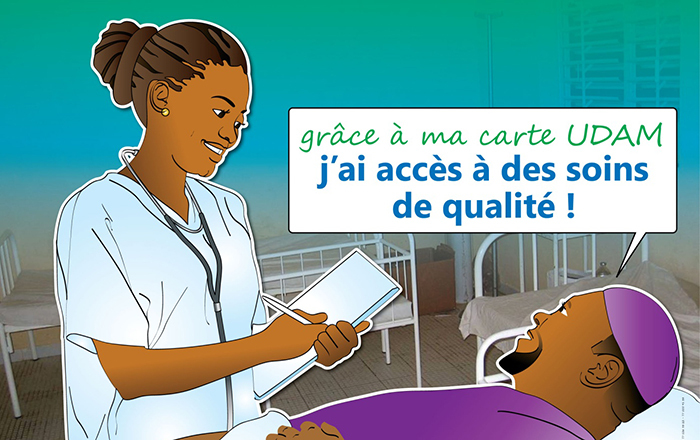 Only one out of every five Senegalese people has health coverage. Enabel, the Belgian Development Agency, is helping the government of Senegal put in place a health insurance system in the departments of Koungheul (160 000 inhabitants) and Foundiougne (280 000 inhabitants). Several pilot programmes are testing a flat-rate payment system. Membership is voluntary through a contribution to a health insurance account. The Enabel project then transfers a complementary sum, a function that the Senegalese government will take over at a later stage. Professionally managed departmental health insurance units (UDAM) administer the financial contributions. They also manage various exemption mechanisms including free service delivery for family security grant beneficiaries. The flat-rate paying system will help reform how health care is financed. This is an essential step in the development of mandatory health insurance and, eventually, universal health coverage.